Any smart saver will know that interest rates make all the difference when it comes to saving your money. Not all of us are fond of risk which is why many of us choose to keep our money safe in a place that not only guarantees security, but also guarantees fixed returns. For those who want the best growth for their money but still with the assurance of security, one place to keep your hard earned cash will be at certificates of deposit. And where can you get a CD with great rates? One place would be First Citizen’s Bank. First Citizen Bank was opened in 1898 with its headquarters in Raleigh, NC. The bank offers and provides complete financial services and products that do no only include certificate of deposits but also personal and business banking, insurance and investment services. First Citizen Bank is also one of the biggest controlled banks in the United States making them stand-out among other famous banking institutions. Since it is the biggest, it operates on more than 430 branches nationwide. The rates they have right now are of the latest in the market which a lot of people who are interested can surely take advantage of. One choice for those who want to put their money on a CD is the 12 month term with an interest rate and an annual percentage yield or APY of 0.15%. Next is the 24 month CD with a rate and APY of 0.25%. And the last is the 36 month CD with an annual percentage yield and rate of 0.45%. The minimum amount to open a certificate of deposit account is $500 which will mean that almost anybody can simply open one. For those who are planning to do so, they should certainly do it now. Sensible and updated mortgage rates are a necessity for those who are planning to apply for a mortgage. With the economic downturn of the real estate market, mortgage rates are much lower than what they used to be, making this a good time to lock in to a new mortgage or perhaps refinance your loan. One of the banks that offer good mortgage rates is BBVA Compass. This bank is one of the largest commercial companies in the United States based alone on their market deposit shares. They have 716 branches in California, Arizona, Florida, and many more. The three major units in their business are retail banking, wealth management, and corporate banking. People from all classes in the nation will surely be able to acquire help from this bank because of the different services they have such as mortgages, loans, merchant processing, credit cards, and many more. Customers will just have to choose among the services and products they need. In choosing the best rates, it will also depend on what kind of term or period is applicable. To those who will select the conforming 30 year fixed rate, the interest rate is 3.250% with an annual percentage rate of 3.385%. Another choice is the conforming 15 year fixed rate with an APR or annual percentage rate of 2.993% and a rate of 2.750%. Conforming 5/1 ARM on the other hand has an interest rate of 2.250% with an APR or 3.038%. Other choices include the Jumbo 30 year fixed rate with an APR of 3.903% and a rate of 3.750%. And the Jumbo 15 year fixed rate with interest rate of 3.000% and an APR of 3.251%. A credit card today is just as essential as cold cash. After all, credit cards allow you to make purchases while potentially earning more for yourself. It also allows for convenience in payment, as well as an extra line of credit when you’re in a minor cash crunch. With all the credit cards different financial institutions have to offer, it’s difficult to find one that suits you best. However, you may want to try getting a credit card with First Citizens Bank. First Citizens Bank has almost 430 branches nationwide. Some of which are found in Arizona, Florida, Kansas, New Mexico, Texas, and West Virginia. These are just some of the branches that are booming because of the different services offered by the bank. Its main headquarters is located in Raleigh, NC of which it was established in the year 1898. Given its extensive history, the bank has further increased its assets making it one of the largest controlled family banks in the United States. Today, most of the services they offer involves personal and business banking, as well as investments and insurances. Right now, a major service that they are offering is the VISA Platinum credit card. It is a premium card that has a high credit limit which is useful especially to those who constantly make large purchases. When owners will transfer a balance from another card, there will be no transaction fee. The APR or annual percentage rate on purchases is 10.15% and when the cards will be lost or stolen, immediate replacements will be given. Aside from savings accounts, checking accounts are probably some of the most used types of financial services offered by banks. This is rightly so because checking accounts allows for great convenience when it comes to making payments or receiving your salary. One bank that’s offering a checking account that’s fully packed with features is First Security Bank. 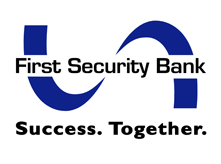 First Security Bank is mainly based in Arkansas with a diverse and complete list of products and services. Its total asset base is $4.37 billion with a total capital of $595 million. They have almost 900 employees working in different locations and branches offering helpful services such as wealth management, real estate market, personal and business banking, mortgages, leasing, public finance, and many more. These are just some services that they cater and provide to their clients. One of the services they are offering now is the Security Club Checking. Security Club Checking is not just the usual kind of checking account. It greatly provides a loaded account for the account owner to use whenever he or she will need it. It is fully equipped with the most premium features including online banking, bill pay, security packages, and a lot more. It has a 24/7 free telephone banking giving account holders full access to their account anytime. It also has free Security Cash check card, free custom checks, free cashier’s check, and a lot more. It also has an identity theft and credit card protection. The other features it has are free notary service, unlimited check writing, and free safe deposit box during the first year of membership. The monthly fee holders will pay is just $9 which is cheaper. With these features and perks, people will really be enthusiastic in applying. College is a time to learn independence and that includes being able to manage ones finances responsibly. One way to gain financial knowledge and maturity is by owning your very own credit card. College students can definitely benefi from having their own credit cards because it can help them whenever they come across a cash crunch. With so many things to pay for such as food, lodging, books, projects and other miscellaneous expenses, it’s only practical to have an extra line of credit rather than having to call dad back home. So what credit card would be perfect for college students today? 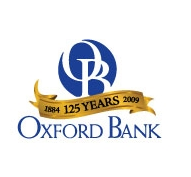 Oxford Bank was established in the year 1884 and continues to grow in services as well as in number. Today, they are one of the most accomplished banks not just in their services but also in providing help to the community. For those students who want to get help from them with regards to credit cards, they would definitely have something to offer. Those who want to be members of this card should know what are its perks and features. Even for those who have limited credit history can still apply and get this card. It is very convenient to use with redeemable awards if one will be able to collect 1500 points. This card has no annual fee which is just appropriate for those students who actually have limits with their budget. The APR or annual percentage rate ranges between 11.99% and 20.99%. And when there are enough points, the account holders can choose among the reward options such as travel, gift certificates, cash, and a lot more. In conclusion, this college rewards VISA card by Oxford Bank is clearly appropriate for students who are starting to live and act on their own especially with regards to the financial aspect of life. Need a hassle free checking account? First Citizen’s Bank is offering a checking account that doesn’t require you to keep a maintaining balance nor does it charge monthly fees. 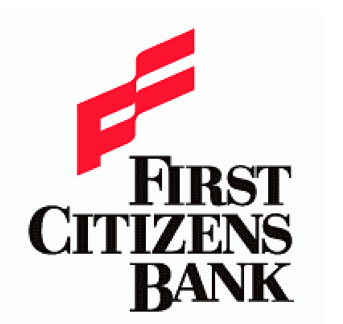 If this sounds like a checking account that fits your needs then it may be time to see what First Citizen’s Bank has to offer. First Citizens bank was established on March 1, 1898 and was formerly called as Bank of Smithfield. With its lengthy history, this bank is known for its integrity especially in dealing with their clients. They provide financial services to those that need it. If you want a hassle free account, it would be best for you to apply for the free checking account at First Citizen bank. This kind of checking account will fit anyone. Why is this so? It is because the free checking account is easy and convenient to use that will also help in managing the holder’s money efficiently and securely. It does not have any monthly fees and has no minimum balance requirement once the account holder or owner will sign up with e statements. As the name itself suggest, it is a free checking. It also has free VISA debit card and free bill pay online banking with an option of getting an overdraft protection. In terms of deposit, the initial amount to getting such a checking account is only $1. This will then allow anybody to open the account if they really want to. For those who badly need a new checking account then this is the answer they are looking for. It is not just about the free features of the account but it is also about getting an account with the smallest amount of money as possible. Got some extra cash to save? Instead of keeping it in your regular savings account, why not place it in an investment that offers bigger interest rates, but still with a fixed rate guarantee? If you’re looking for a place to put your money in a risk averse and secure area, why not place it in a certificate of deposit? The longer the term you choose, the higher your rate and return. One place to grow your money securely is at Presidential Online Bank’s certificates of deposit. 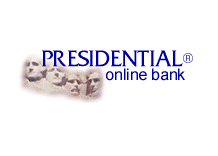 Presidential Online Bank started in October 6, 1995. This was established in order to facilitate the online banking needs of people all over the nation. As we all know, people find it very easy and convenient when they do their financial transactions on the internet because they can do it anytime of the day without having to spend time in transportation. This makes the Presidential Online Bank very effective with all the service financial products they offer like certificate of deposits, loans, savings, credit cards, and etc. Those who want to immediately open certificates of deposit can instantly do it in this bank. Certificate of deposits come in different terms which people can choose. These terms vary thus people can choose whether they want shorter or longer periods. Choosing what is right for their money is very important because this will be the basis for the interest rate and the annual percentage yield. The shortest term offered by Presidential Online Bank is the 30 day period with a rate and annual percentage yield or APY of 0.25%. Next is the 182 days period with an APY and rate of 0.50% and then the one year CD term with an interest rate and APY of 0.75%. There is also the 2 year period with an APY and rate of 1.00%. And the longest term they have is the 5 year term with a rate of 1.49% and an annual percentage yield of 1.50%. In conclusion, saving money through certificate of deposits will allow people to earn without having to lift a finger. Depositors can simply expect guaranteed returns upon the time of maturity. Want a credit card with no annual fee? Then you should apply for Republic Bank’s VISA credit card. Credit cards are a necessity for many people nowadays because it provides convenience as well as extra funds when you’re in a cash crunch. It’s even common to have not just one but two or three cards as long as you can afford it. If there is one card that people should consider getting, its the VISA credit card by Republic Bank. This bank has excelled in providing the highest quality and level of banking standards. Its reputation is known all over the nation as one of the best. They offer services that would really help their clients very well like the credit cards they have, mortgages, loans, checking accounts, health savings, certificate of deposits, and a lot more. They do not just cater with personal banking but also with business and commercial finances. One of the best products they have is Republic Bank’s VISA credit card. This is a kind of credit card with no annual feit giving their account holders the luxury of not having to be charged at the end or start of the year. Aside from this, account holders can easily access their accounts on the internet and keep abreast with their billing statements. Clients are assured that their finances and other important information are safe and secured. And it has a feature that includes a 24 hour emergency cash and card replacement should you lose your card. In terms of rates, the annual percentage rate on all purchases and cash advances is 8.45% but it can vary or change on a monthly basis depending on the Prime rate market. The dues to be paid for the card are at least 25 days prior to due date. This will be applied after closing of the billing cycle and the owner will not pay any interest on the purchases if he or she will be able to pay the entire amount or balanwit on or before the due date. With these features and rates, those who will have this credit card can really enjoy and take advantage of it. The home buying process can be both exciting and taxing at the same time. There’s nothing more exhilirating than the thought of moving into a new home but then there’s also the big cash investment to think about. Not everyone has the ability to pay for a home in cold cash which is why mortgages come in handy for buyers. Any smart home buyer would naturally go for a mortgage lender that provides great rates thus making their monthly obligations lesser. Many financial companies like banks and lending services offer good rates just like what AmeriSave has in store. This is one of the biggest mortgage lenders in the whole country with hundreds of well-educated and professional employees that will help and cater to the needs of those who seek for mortgage assistance. Their main goal is to provide the best and lowest rates to every customer because they truly believe that everyone deserves to own a home. AmeriSave offers different mortgage products like the non-conforming loans, USDA, VA, and many more. Those who are interested should really go to this lending company directly. As of today, the rates they have are quite low and competitive. For those who will have loans of up to $417,000, they can choose among the different terms available. One is the 30 year fixed term with a rate of 2.750% and an annual percentage rate of 3.004%. Next is the 15 year fixed with a rate of 2.250% and an APR of 2.559%. Another choice is the 7 year ARM with an annual percentage rate of 2.906% and a rate of 1.875% while the 5 year ARM has a rate of 1.625% with an APR of 3.045%. These are the latest rates that clients can easily apply for. If you are interested for a mortgage, you better check at AmeriSave now while the rates are still low and excellent. You will for sure be accommodated and entertained well because this is what AmeriSave does. They truly give importance to their clients and future customers as well. Want to earn extra cash by signing up for a checking account? With Republic Bank, getting extra cash is easy. All you have to do is let your friends know and once you sign up, you get a quick $50 bonus. There’s a lot to love with Republic Bank’s checking account so it wouldn’t be hard to get your friends to sign up as well. After all, everybody needs a checking account nowadays. Republic Bank is for personal, commercial, and small business banking that provides quality services to those who will be in need of financial assistance. They make sure that they give excellent and quality services to their customers as well as to their future clients. They have different kinds of checking accounts but if there is one kind that people would be interested in, it would be their Advantage checking. The Advantage checking account’s minimum opening deposit is only $50 with unlimited check writing. Owners of this kind of checking account will be able write checks anytime they would want to. For the balances of this account, the interest rate and the annual percentage yield is 0.05%. Another feature that comes with this checking is the free ATM Republic Bank transactions. Once again, their promotion allows account holders to earn an extra $50 once any of their referrals sign up to the checking account as well. All they have to do is submit a coupon when opening any checking account and after this is validated, the one who recommended it plus the applicant will be eligible to receive the bonus. That’s how easy you and your friends can earn an extra $50. So go ahead and enjoy this opportunity by simply spreading the word.